With great excitement I’ve been waiting for August 1, for that is when the SM Beauty Box will be available. I’ve been reading about it from the big beauty bloggers, and I’m pretty much stoked about this box. SM/Watsons Beauty Box is available in only four SM branches (I bought mine at SM Makati), and it costs Php799. It’s a humongous box (read: super large!) that has a LOT of products inside. When I went to SM Makati there were about five stacks of three or four of these boxes on display. Each box is sealed with a sticker, and the sales ladies could not agree whether it is okay to open it for visual inspection. Since I was interested in keeping the box pristine, I refused to have them open the box, hoping that all the contents promised would be inside. The box is about a foot and a half square (yes it’s really that big!) and about 3-4 inches high. It opens on the side with the SM and Watsons logos, and it has a pair of (weak) magnets to hold it closed. The box itself is made with stiff cardboard. This box is one of the reasons I bought this pack, because I can find many uses for this. Upon opening you see a large assortment of products that you can usually see in any Watsons branch. Since there are just so much products in here, I’m going to take a page out of Tellie‘s book and just talk in detail about the things I’m excited about. These would be the products that made me decide to get the box in the first place. The prices that I’m listing here are based on what I saw at the store, and the others based on information I found on the internet. 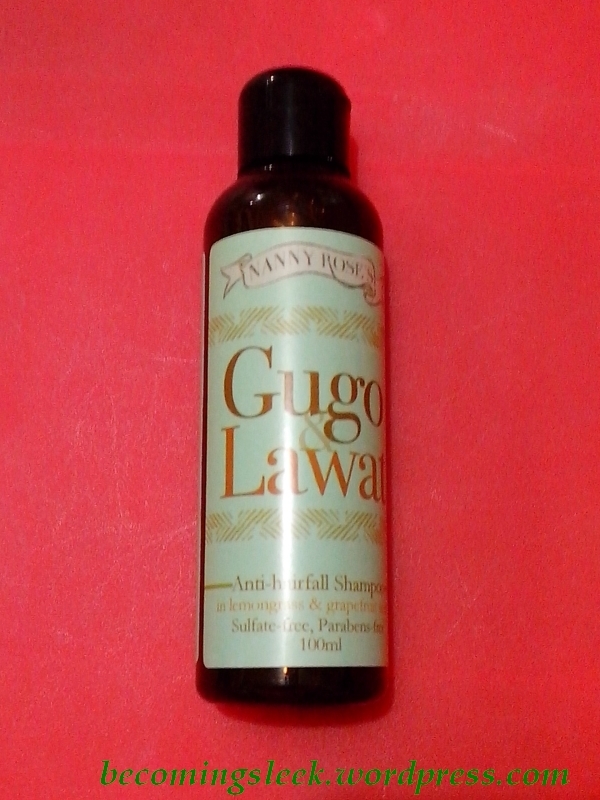 First is Nanny Rose Gugo & Lawat Anti-hairfall Shampoo (Php99). I currently have a hairfall problem which the L’Oreal anti-hairfall line wasn’t able to resolve completely. I was prepared to buy another brand, but luckily the SM Beauty Box had this. I’ve heard so much good stuff about Nanny Rose, so I’m quite hopeful that this will help my hair problem. 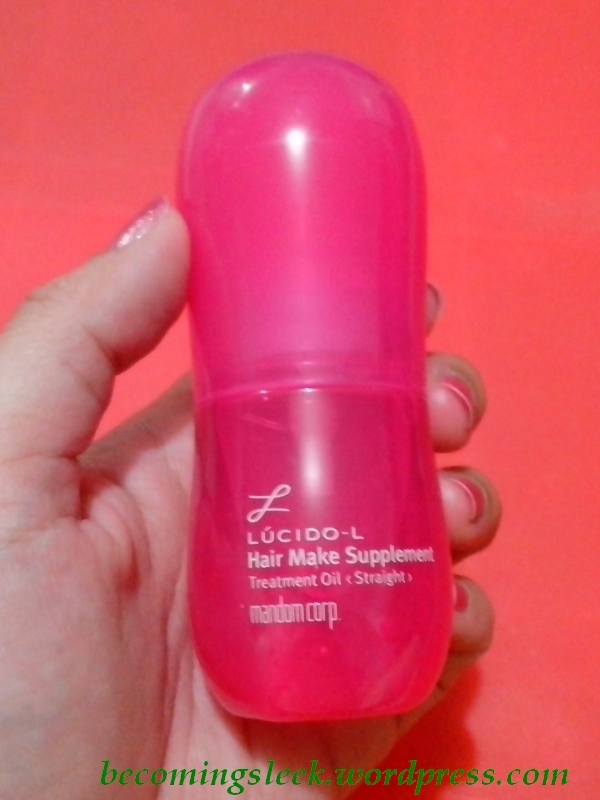 Next is this Lucido-L Hair Make SUpplement Repairing Oil for Straight (Php295). I saw this on Tricia‘s blog and was interested in trying it out. Initially I thought it was intended only for curly hair, but this variant proved otherwise. Admittedly my hair isn’t really all that straight (it’s more of the wavy type) but I’d like to see what this does for me. 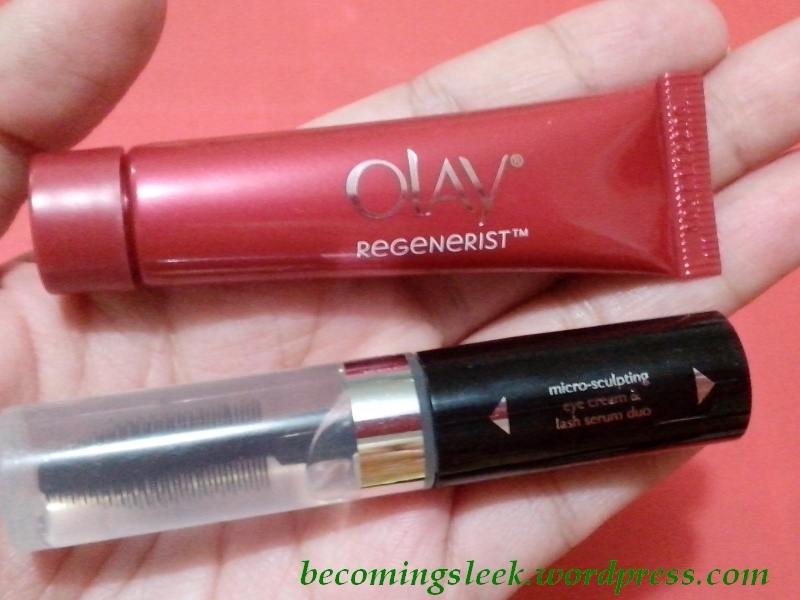 Next item is Olay Regenerist Micro-sculpting Eye Cream and Lash Serum Duo. I’m looking for my HG eye cream (sadly Celeteque’s didn’t really do much for me) and it’s great that SM Beauty Box had one. These Olay products are much smaller than their box implies (although it does say the contents at the bottom of the box). I’m probably not using the lash serum though. 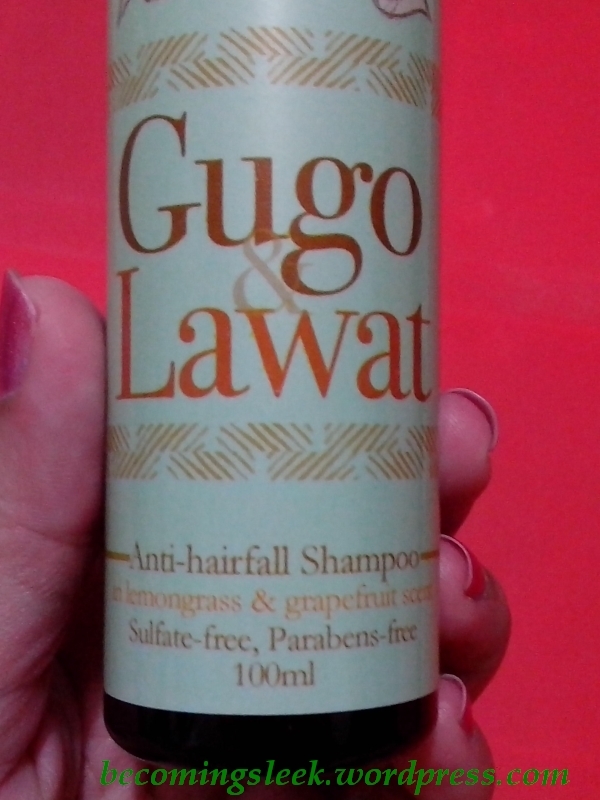 I had a hard time finding out how much this costs so I’m estimating it at Php300. EDIT: RachelS says this retails for Php1500! 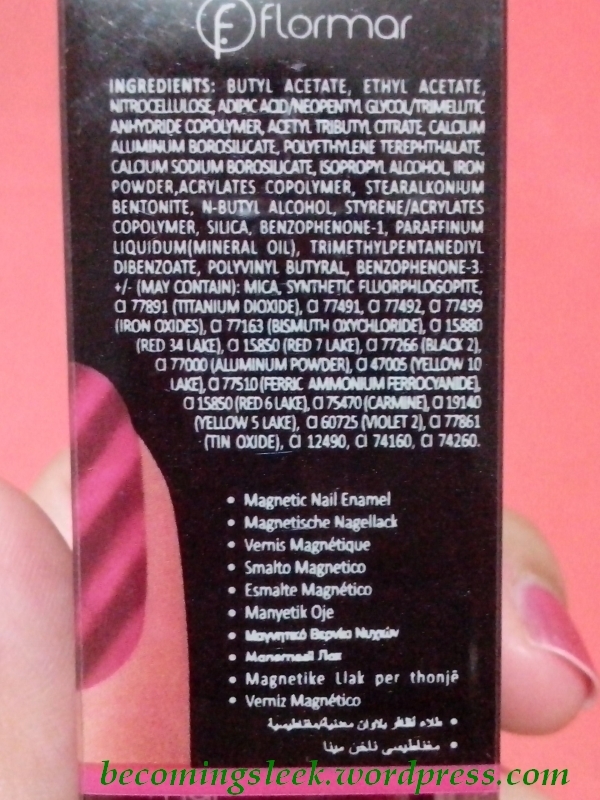 Of course the single nail polish in the box will be in this list! 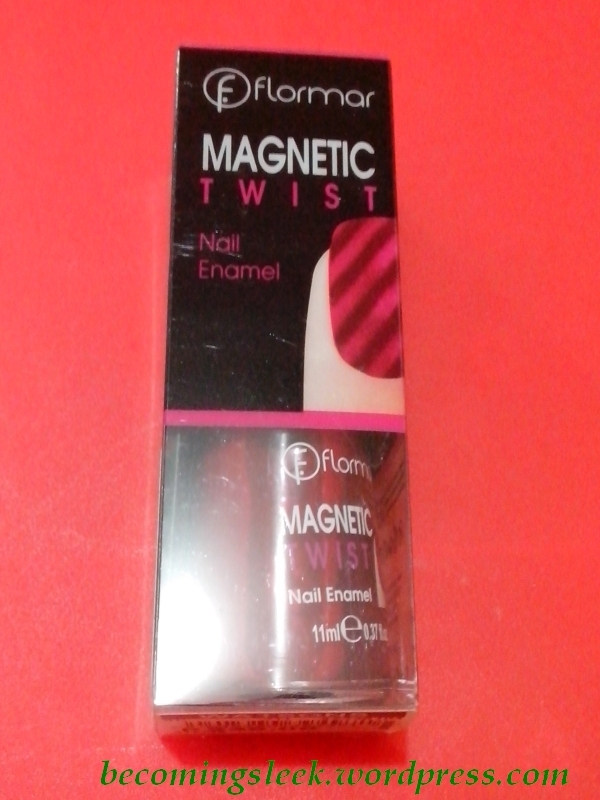 Flormar Magnetic Twist Nail Enamel is my second Flormar nail polish (the first being the Supershine), and my first magnetic polish! I’m quite excited to try this out. I wanted to see what the magnet looked like, but the box is actually sealed. How sanitary! Again I couldn’t find pricing information, so my estimate is at Php150. 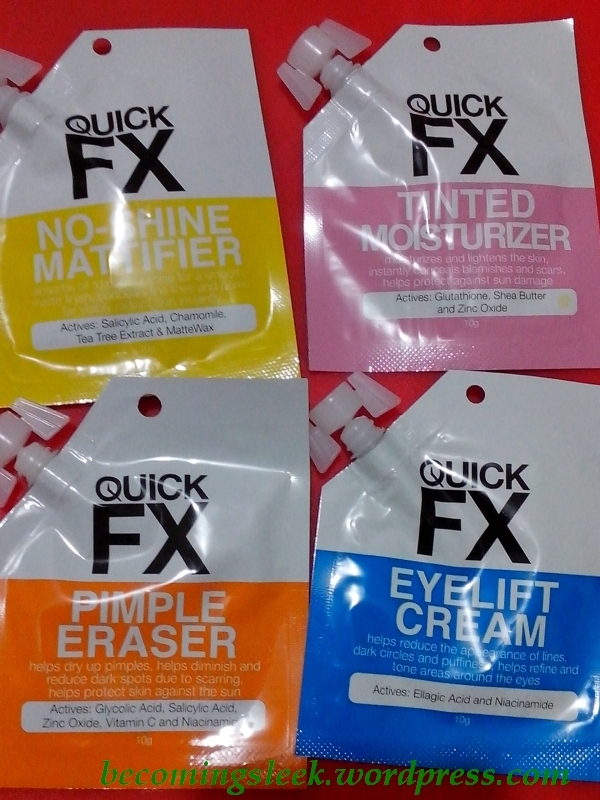 Lastly, this quad of Quick FX products is very intriguing. Surprisingly too, since these are in sachets and I hate sachets, but these have that pretty interesting spout system going on. Specifically I’m excited about the Eyelift Cream (see Olay entry above) and the Tinted Moisturizer. Prices vary from Php49 to Php99. Let me show you the rest of the products in the box. 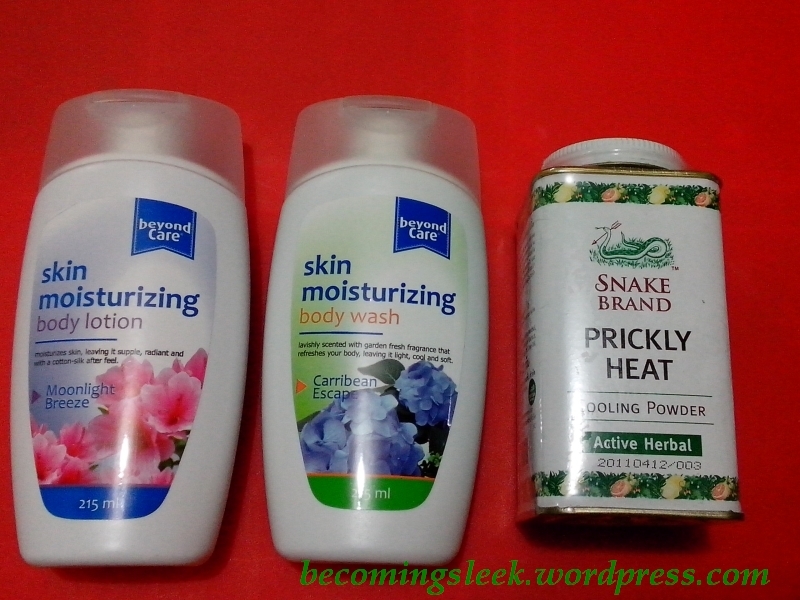 First we have a duo of Beyond Care products (body lotion and body wash) and an interesting tin of Snake Brand Prickly Heat Cooling Powder (Php69). These three are actually also interesting, but didn’t make the cut in the list above because I wouldn’t have been sad if these weren’t included. However I am a fan of body lotions and powders, so I am happy that I got these. I have no information on the prices of the lotion and body wash. My estimate is at Php60 each. Next is a trio of hair products. 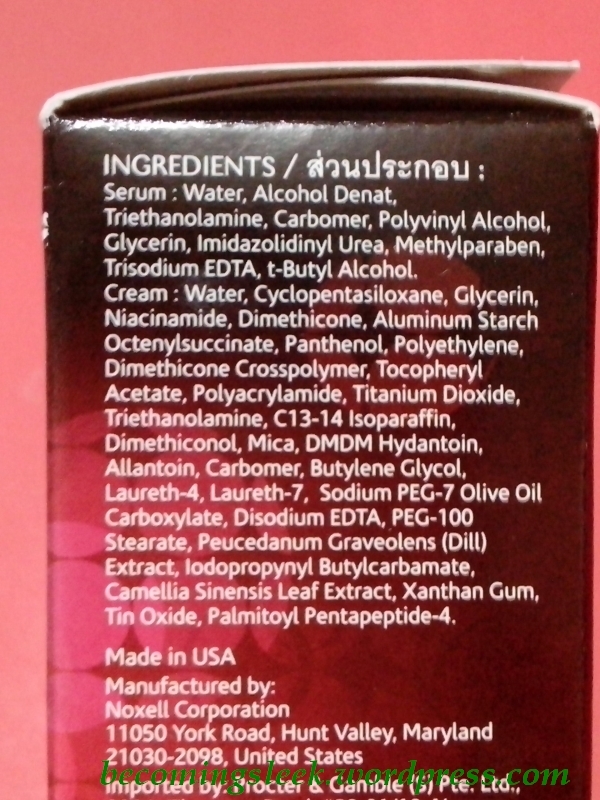 There is a giant tub of Opal Hot Oil Cream Conditioner (Php100+), a tube of Vitress Solenn (?!) 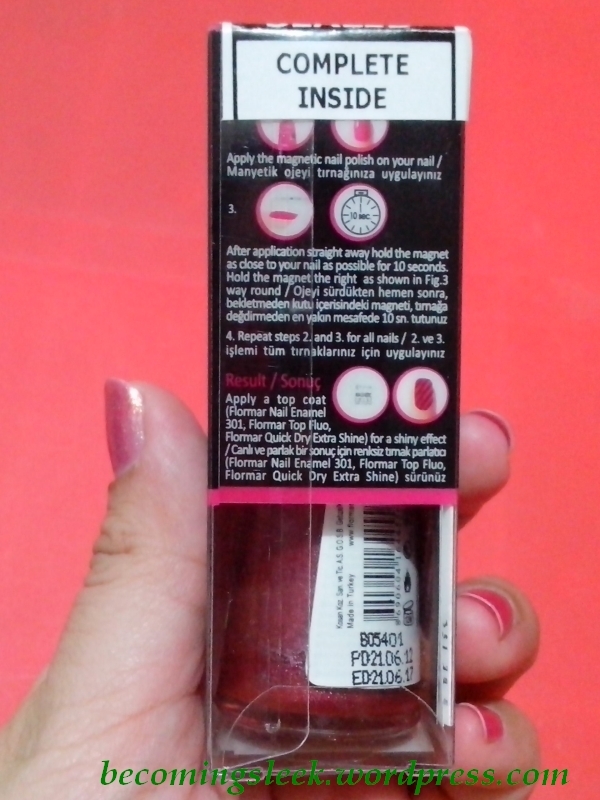 Hair Cuticle Coat (Php47), and a huge box of Palty Hair Color in Namachoco Waffle (Php499). I still have the tub of Hair Treats hair spa from a haul way back so I’m not that excited about the conditioner. I don’t like leave-on stuff in hair much, so I’m probably not using the Vitress tube. And lastly my job and position probably frowns on colored hair, so I’m skipping on the Palty box as well. Next batch is a pack of Purederm Make-up Cleansing Tissues (Php99), a bottle of Skinklens Gentle Skin Cleanser (looks remarkably similar to Cetaphil)(Php260), a tube of Evas Vitamin Hand Cream (Php139), and a tube of Essence Lip Gloss in True Love (about Php139). I’m actually interested in most of these, but again I wouldn’t have been sad if these weren’t included. 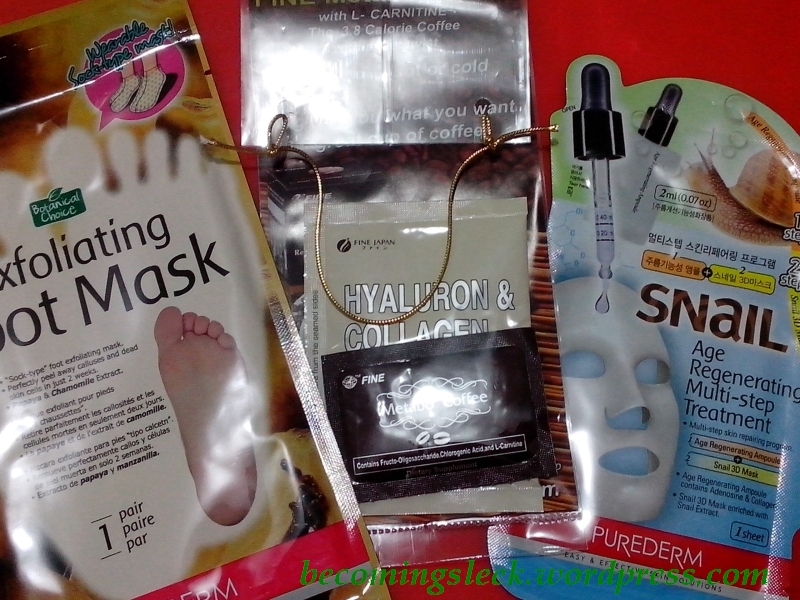 And finally the bunch of sachet stuff: Botanical Choice Exfoliating Foot Mask (Php189.75), FINE Hyaluron & Collagen (Php110) and Metabo Coffee packs, and Purederm Snail Age Regenerating Multi-step Treatment. I’m actually interested in that last one since I like masks. Oh and I’m not averse to trying the coffee either. Again I couldn’t find any price information for the coffee and the snail treatment. My estimates are Php80 and Php150 respectively. My impressions of the SM Beauty Box: This is a pretty good buy, if I may say so. I really like the box itself, and those five items listed above are things I would actually have bought. The other items are a nice topping to this already wonderful cake. I wouldn’t hesitate to recommend this box. 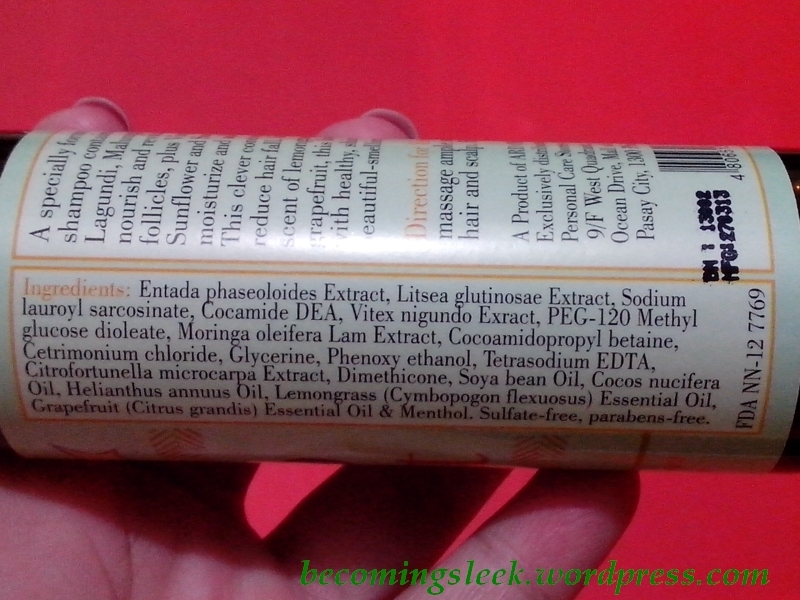 Value review: SM Beauty claims that the items are worth over Php4000. My estimates come up to only Php2900, so it might be too conservative. Regardless, even the estimate is more than twice (nay, thrice!) of the cost of the box, Php799. There can be no doubt that this is worth the investment. It has 18 (!!) products from a wide range of categories and brands, which is a great sampler if you are unfamiliar with these brands. Will you be getting a box for yourself? Did you get one already? Which products are you excited about? Ooh the Olay Eye Cream and Lash Serum looks interesting. Hi Shayne! 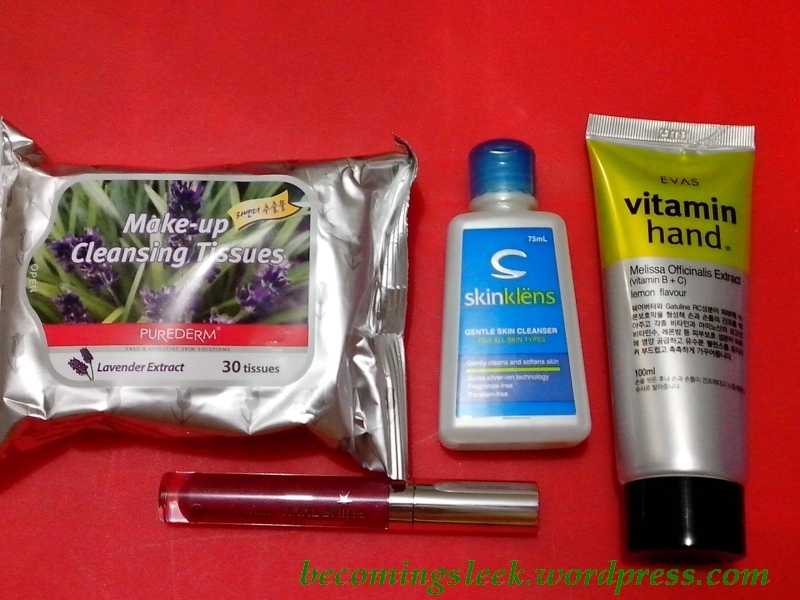 I don’t know how the regular olay eye cream looks like (this is my first time to try the brand!) so I’m not sure if this is sample sized. It seems like puno naman yung tube, so I’m not complaining, and you really need a very small amount per eye. 🙂 I haven’t tried the wipes yet, but I’ll let you know how it does! 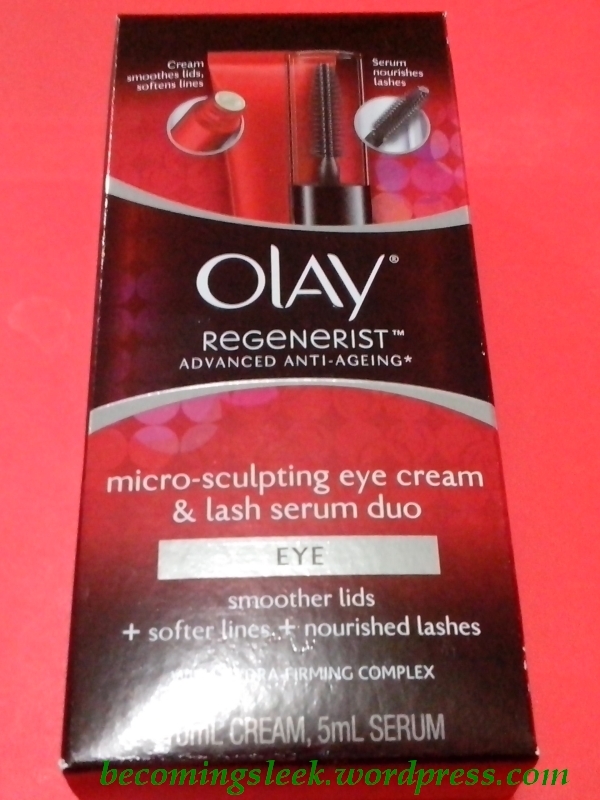 the Olay eye cream/lash serum retails at 1,500 alone, and the Palty at 499. super sulit your box! That’s one huge box! Do you think it’s still available? Yes it is! And it’s quite possibly still available, since it’s just sold in four SM branches (North and Makati are part of it), and as far as I know there are lots of stock for this.